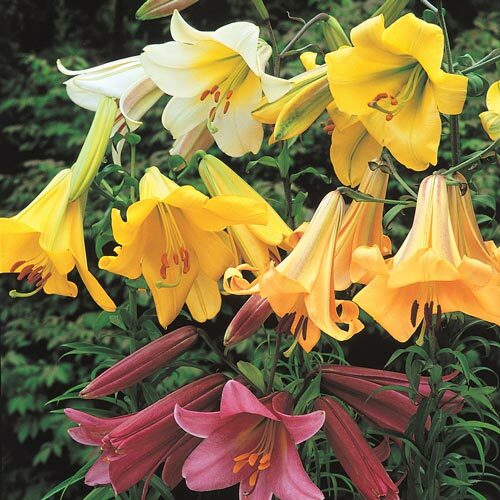 Bold, 6" flowers in assorted colors are trumpet-shaped and truly majestic. Linear, glossy green leaves are arranged in whorls or spirals up tall stems. You'll bring brilliant color and fragrance to the landscape with this easy-to-grow Lily Mix. 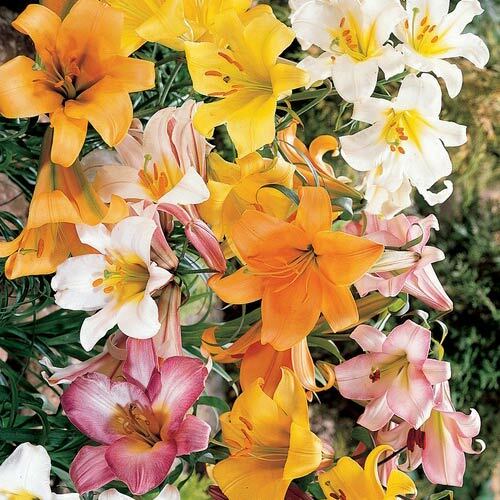 Perfect for borders and naturalizing—gorgeous, perfumed bouquets are an additional benefit. Not to mention loads of visiting butterflies. To help provide nourishment to the bulb for the next season's blooms, only remove leaves once fallen. 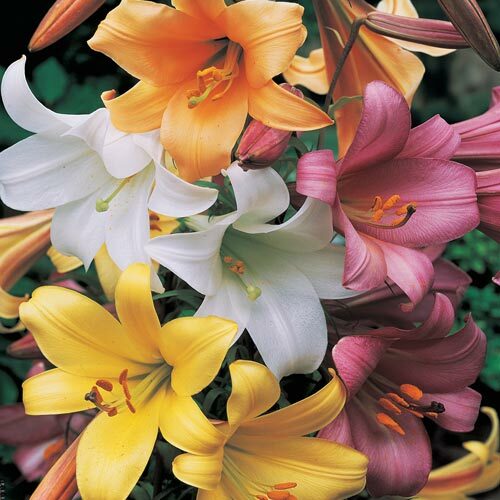 Trumpet Lilies are a mid-to-late season blooming hardy bulb that's stately stems prosper in well-drained soil.